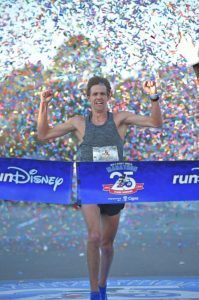 On the 25th anniversary of the Walt Disney World Marathon, Nick Hilton ushered in a new era, ending Brazil’s recent dominance after becoming the first American to win the popular race since 2004. 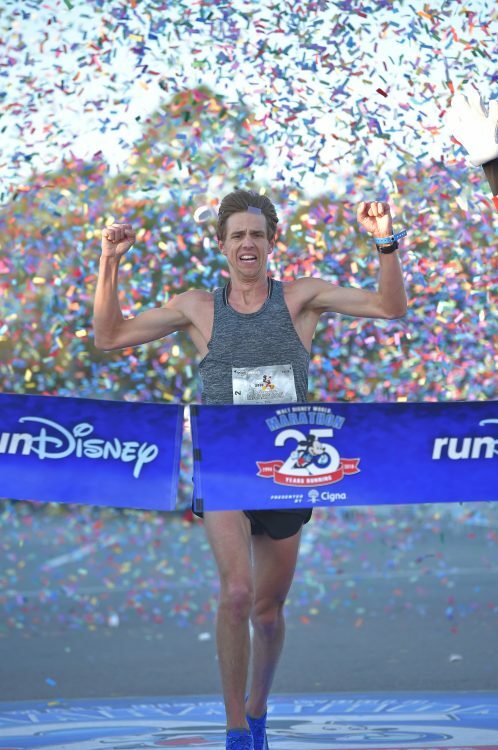 Hilton, 28, is only the fourth American runner to win the 26.2-mile race that stretches through all four Disney theme parks and ESPN Wide World of Sports Complex at the Central Florida resort. The last American winner was Matthew Dobson 14 years ago. Before Hilton’s win Sunday, a Brazilian runner had won the race six of the past seven years, including the last four. By contrast, the women’s division remained decidedly Brazilian as Giovanna Martins of Sao Paulo won for the third time in the last four years. In fact, she became the only three-time women’s winner in race history after crossing the finish line in 2:47:22, well ahead of Jackie Hall of St. Charles, Missouri (2:49:48) and Alicia Cevallos of Quito, Ecuador (2:50:49). Hilton’s victory had extra significance. In addition to the victory coming one year after he got engaged at Walt Disney World Resort, his winning time qualified the Tucson, Arizona resident for the U.S. Olympic Team Trials for the 2020 Summer Games. And the Disney Marathon field of 25,500 made him earn it. Hilton battled three other contenders for most of the race and didn’t pull away until the late stages. He finished in a blistering 2:17:52 – more than two minutes ahead of Vanilson Neves of Sao Paulo (2:20:25) who was followed by Nicholas Caprario of Kansas City, Missouri (2:21:31). The Disney marathon weekend, which began in 1994 with one race involving roughly 8,000 runners, has since grown to more than 100,000 runners and spectators in its 25th year and remains one of the most popular marathons in the nation and is widely regarded as the first entertainment-focused marathon in the country. Over the years, nearly a million people of various ages and abilities have run in a Walt Disney World Marathon Weekend race, including 76 who have now run all 25 Disney marathons. In celebration of the anniversary, every runner was given a commemorative finisher’s medal and special 25th anniversary Mickey Mouse ears to wear after crossing the finish line at Epcot on what was a sunny but unseasonably cool Florida morning. 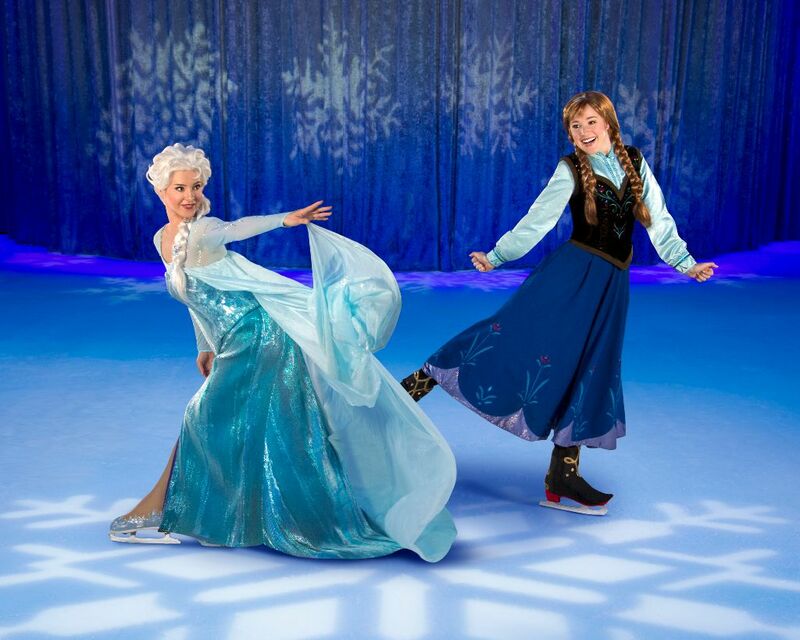 In addition, there were special entertainment experiences every half mile along the course, from full marching bands in three of the theme parks to a 100-member choir near Mile 26 to nostalgic Disney movie soundtracks playing along Main Street U.S.A., at Magic Kingdom, plus exciting meet & greet opportunities with beloved Disney characters throughout the course. The race was the final day of a five-day race weekend that featured kids’ races, a 5K, a 10K, and a half marathon before Sunday’s marathon, plus a health and fitness expo. Registration information for the four upcoming Disney race weekends is at www.runDisney.com. 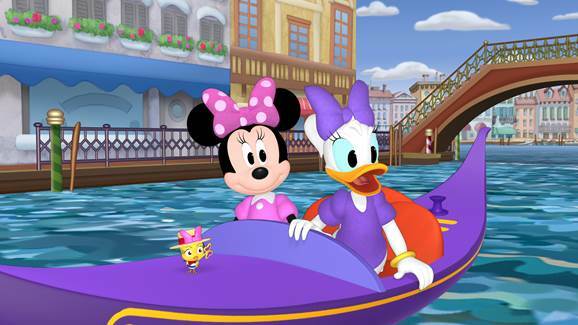 Around the World with “Minnie’s Bow-Toons” Week!